Our new paper is out in Proceedings of the Royal Society B! 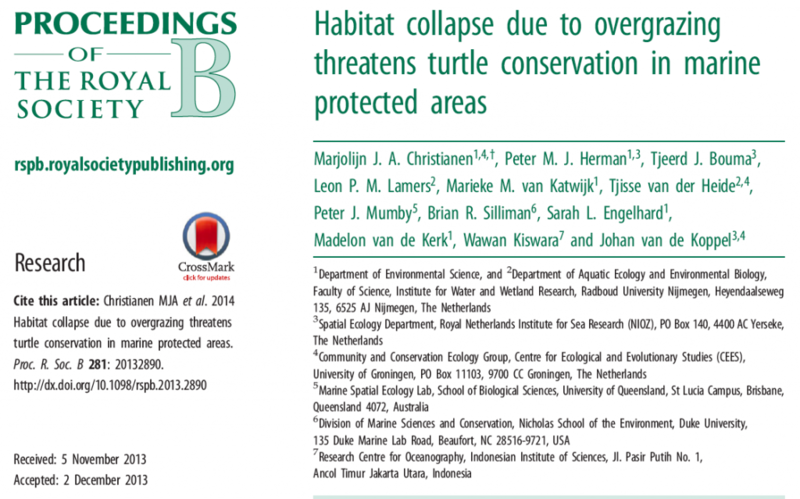 Green turtle populations have expanded so much in Indonesia’s east coast islands marine protected areas that they are adopting new feeding habits, degrading the ecosystem and threatening their own conservation. Read more about “Habitat collapse due to overgrazing threatens turtle conservation in marine protected areas” and download the paper here.